Sinerga adopted an innovative approach regarding the discovery of active ingredients based on cutting-edge technologies and in-silico tests; the main goal is to meet the growing demand for unique, effective active ingredients supported by clinical evidence. From the perfect mix of chemical, biological and biotechnological expertise, Sinerga has created its brand new Molecular Lab: a highly qualified R&D department dedicated to the investigation on the interaction of potentially interesting molecules with skin’s main targets. 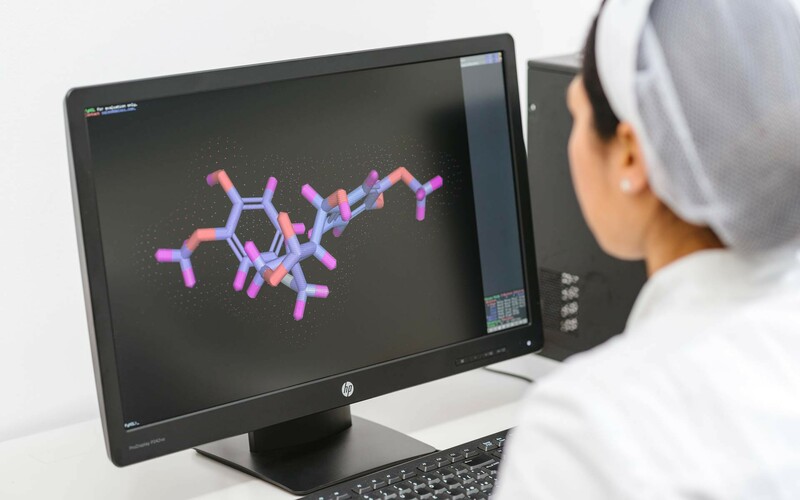 Thanks to the use of specific 3D tools, we analyse molecular structures foreseeing their potential activity and cosmetic efficacy. The results of the “In silico” tests and Molecular Modelling enable us to better direct in vitro and in vivo tests, leading to the creation of pure and highly effective active ingredients that can be offered on an exclusive basis to the cosmetic, dermocosmetic and nutraceutical market. Characterized molecules, with proven efficacy. Customization of the molecule activity, on the specific client’s needs.